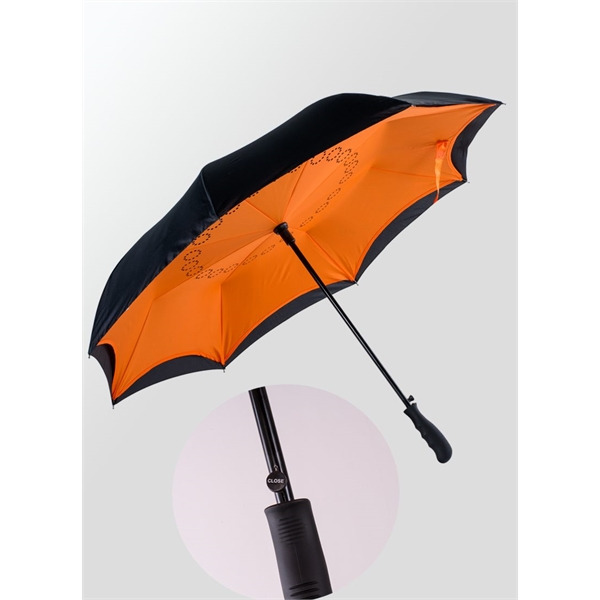 48 inch arc inverted style umbrella. Contrasting color on underside. Manual open/close. Pongee Fabric. Straight rubberized finger grip handle.Revolutionary design. Umbrella closes away from you thus keeping you dry when closing. Easier to close when entering or leaving a car or through a door. Its only been 300+ years its time to change things up. I'm interested in learning about the The Rebel. Please contact me.